With 8 night vision LED lights. PARKING ASSISTANCE: Hit the reverse gear and the monitor will automatically show what's behind you. It will also display virtual lines that help you estimate the distance from your bumper to another point. Aspect Ratio: 16:9. IP68 waterproof, can be used in all weather conditions. Compact size: 4.3" screen is ideal for using in the car and easy to carry around. Automatically start and synchronously display the video when you are backing your car. 5" TFT LCD monitor. 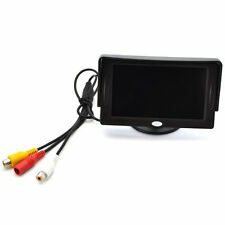 1 x 5" TFT LCD HD Car Monitor. When parking the car, the rearview image appears on the screen automatically. Brightness and Contrast / Hue / language is adjustable. component color LCD display. Pioneer NDBC8. Vertical View in Degrees: 105. Horizontal View in Degrees: 129. Wide Angle Lens. Product Details Image Sensor: Color CMOS PC1030. Change the shift lever to the R (Reverse) range to view the rear image of the vehicle. Compatible With Universal for 12V Car, SUV,etc. Sensing area: NTSC 4.08 x 3.10 mm. Image Sensor: CCD. Visual Angle lens: diagonal angle of 170 degrees, horizontal angle of 90 degrees. 1x wireless transmitter and receiver kit. Resolution Ratio: 520 TV Lines. Applicable Device. Video Input & Output: PAL / NTSC composite video signal. Housing: ABS. 1 x Mount Bracket. 1 x Aviation Connector Video Cable 10M. Screen: up/down/left/right. Support color CMOS image. TV System: NTSC/PAL. Waterproof: IP67. Video: 2 video input. Adjustable angle lens to meet the monitoring requirements of different angles. 8 Infrared lamps let the night monitoring effect is more significant. The waterproof level is IP68, is the professional waterproof, do not afraid of the rainy days. .
High beams / Junsun A 910 WDR is able to balanced exposure and restrain intense light.Make driving comfortable at night. Reverse blind area /Junsun A 910 support move the screen up and down by sliding your finger. Night vision function provide you a better performance when driving in dark space. Resolution: 480 TV lines; Lens angle: 170°; Effective pixels: 720 x 540. With power cable to connect your vehicle power system; Waterproof design and easy to install. You can also turn it on while driving by pressing the button on the monitor - great feature for driving large vehicles. FHSS: Frequency Hopping Spread Spectrum. No backup line. Easy to mount on any flat surface of the vehicle. First, it's easy installation. Optional distance Scale Lines, if you prefer parking guide line, all you have to do is turn on the switch. Second, waterproof is amazing. Super waterproof,Water-proof Standards up to real IP67. ▶WIFI Signal Transmission: 100-200ft open air. Simple to set up: Scan QR code Download app, plug and play. No complicate process, get a quickly response on your Android device in 2-3s ((NOT SUPPORT REDMI NOTE4 and Moto Z2 Play). ). Kenwood CMOS-130. flexible mount base. Front and rear FHD 1080P double recording, supports reversing video. Triple wide rearview by streaming video technology. Pixel: 12 million. 1 x Car Charging Line. Steaming Video Technology: Support. Simple to set up: Scan QR code Download app, plug and play. No complicate process, get a quickly response on your Android or iOS device. ▶WIFI Signal Transmission: 100-200ft open air. 170° viewing angle macro lens with mirror image give you a wide viewing vision, high sensitive color CMOS (PC1030) image sensor. Typically, most monitors support both NTSC and PAL TV system. Connect the power wire (red and black) to light power wires of your car. Waterproof Grade: IPX 68. Image Sensors: 1/4 "CCD color. Working Power (DCV): 1. Rear Watching: image can be changed left and right. Color TFT LCD Monitor Lens Viewing Angle: 120 Degrees. Connector: 4 Pin. Screen Ratio 16:9. 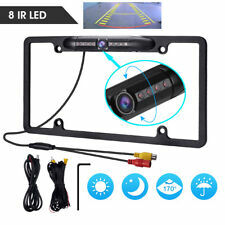 Built-in 18 infrared LED light, night vision up to 20ft. Wifi Transmission,support Iphone,Ipad and Android phone. 1x WIFI Transmitter. Open the app "WIFI AVIN" to get the video. Wireless protocols：IEEE 802.11b,IEEE 802.11g,IEEE 802.11n(1T1RModes). Video resolution:VGA. Features: [Perfect all-in-one integration]: With the Rearview Mirror Car Recorder, your car will have all the functions of Car-Reverse System and Anti-dazzling Mirror; which will absolutely save your car space and money. [Dual video input]: Dual video inputs can catch the beautiful scenery also the traffic disputes . Factory Ford blue oval emblem. Your factory tailgate blue oval is held on with two sided tape, use a heat gun and the included fishing line to work the old emblem off the surface of the tailgate. The harness is 28' long so all connections can be made inside the cab. Full color TFT LCD display, Low power consumption. the monitor will close itself after backing. 7 infrared night vision LED. Video in: AV1/AV2 (parking first). Aspect Ratio: 4:3. Contrast: 250:1. Perfectly solve the issue of bad car rear view effect. There is no complicate video wires and transmitter. You will no longer worry about where the transmitter should be placed. Besides, the parking line can be adjusted. It will be very useful in irregular parking situation. 12V-24V 7" TFT LCD monitor. 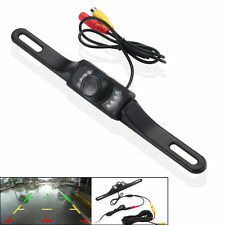 Automatic back sight function for car backing. Lens Angle: 120 Degree. High Resolution, and excellent color effect;. Headrest style installation, support screen rotation, easy to mount & easy to use. > ADAS Plus Make Driving Safer. Check views on the mirror dvr by smart phone. Keep surfing Internet and remote monitor your car driving path. Download important videos and one Key to share beauties of car driving. ▪ 7" Monitor, HD Color Image, HD Technology. Size:Wireless Set: 1 Cam 1 Monitor. 7" HD LCD Color Monitor. (Screws included ). Monitor is directly powered from the cigarette lighter socket or ACC. Link Cigarette Lighter Socket. 7 infrared night vision LED. Wireless receiver with male phono plug for connection to monitor. Wireless 2.4GHz transmitter/receiver Set Perfectly solve the issue of bad car rear view effect. Small compact size. Display Component: Color TFT LCD. Support rotating the screen and adjust the brightness, contrast, color. Support adjust the Brightness, contrast, color. Contrast Ratio: 100:1. With 2 AV input. No Audio input or output. 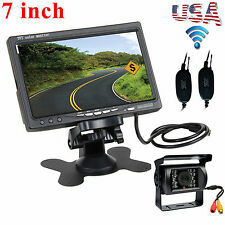 4.3" TFT LCD car rearview monitor Graphics Card. -- Lens Angle: 2.8mm/120°- 1.8mm/170°. -- Display black screen on no signal in standby. -- Contrast Ratio: 350: 1. -- Screen size: 4.3", 16:9 Screen. B1W Hard Wire. B1W Hard Wire CPL. Parking Hard Wire. WIFI Connection: Supported. Voice indicator: English voice indicator. Its size only 90mm x 29mm x 38mm,without LCD screen.The small size and all black form factor make it is more stealthy. Premium HD 1080P Image Quality. The angle of the front / rear image can be adjusted； You can easily adjust the screen by sliding your finger. Q: Why we need Car DVR?. Streaming,Wide Field of Vision. Simply adjust the angle on screen. 5" digital color TFT LCD monitor. Display component: Color TFT LCD display. The brightness, contrast, and color are adjustable through buttons at the back of the monitor. 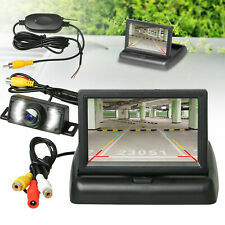 1x Car Monitor. Monitor size: about 12.5 x 8.5 x 1.8cm / 4.92 x 3.35 x 0.71in. The monitor will close itself after backing. Wireless receiver with male phono plug for connection to monitor. 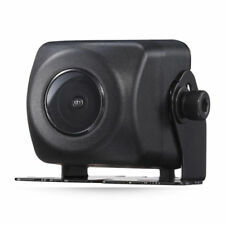 7 infrared night vision LED. Aspect Ratio: 4:3. Contrast: 250:1. Perfectly solve the issue of bad car rear view effect. Easy to install and operate. Don't need others instructions for mounting. More stable. 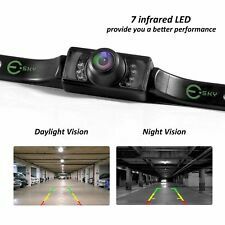 Upgraded to IR for improved night vision, you can easily get the clear situation in che dark, much safer night driving(). Type; visual reversing radar. Alarm prompt;. Colour: Black. 6 m video cable x1. Power; 1.3 (W). Weight; 8.8oz. Working temperature: -20 ℃ ~ 70 ℃ (℃). Sensor: CMOS II. Night vision design makes it's also useful even in a dark underground parking garage. Built-in 8pcs high brightness LED lights, super strong night vision function. Vertical sync frequency: PAL 50HZ; NTSC 60HZ. Features：170 Degress Wide Angle, FUll HD 1080p. Exposure：Support. Motion Detection：Support. Car Switch Machine：Support. Parking Monitor：Support. Fill Light：Support. Screen Size：4.3" TFT. 1 x Diaplay Mirror. 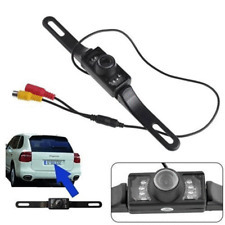 Backup cameras can be a great safety feature to have in your vehicle. If your vehicle doesn’t have this feature, it can be added by using a backup camera kit. Here are some questions that may come up when trying to choose a car camera. What features can a backup camera have? Automatic system switching: When you put the vehicle in reverse, this feature will automatically turn on the rear backup camera. Wide-angle field of view: Many backup camera kits will have a field of view of up to 90 degrees. This can be sufficient for smaller cars, but kits with a FOV of 110 to 120 degrees can provide added coverage for larger vehicles. Camera image sensor: The two main car camera options available will be CCD and CMOS image sensors. CCD camera sensors generally have a high image resolution and can function well in both low-light and bright conditions. This can make them helpful as dash cams as well. 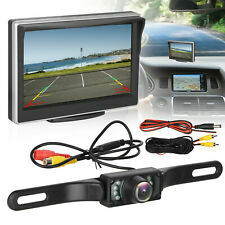 What types of displays are available for rearview camera kits? Screen size: If you’re installing a backup camera kit on the rear of any vehicle bigger than a car, you will want a display that is no smaller than 5 inches. Larger displays can provide added detail to help you back up. Monitor type: Displays come in LCD or CRT. LCD displays are often thin so that they can be mounted in a variety of places. LCD displays can also have HD playback as well. CRT monitors will generally be used in gray-screen or green-screen systems. Display mounts: Some in-car places you can mount a display include the dashboard, as a replacement for the rearview mirror, and near the sun visor. Mounting the camera in these places also gives you a view inside of the car. What are some tips for selecting a backup camera kit? Select by your vehicle's size: The larger your vehicle, the wider an angle you will want on a camera lens. The camera should cover at least a 90-degree angle. Select by camera connection type: You can find both wired and wireless camera kits. Both options may also have recording functions, too. Select based on compatible features: What features you can get depend on what kind of car you have. Not all car cameras fit in every car. 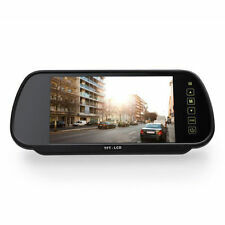 Some possible features in both rearview cameras and dash cams include color picture, auto-adjusting brightness, and night vision. What is the difference between wired and wireless camera kits? Wireless cameras can be helpful if you want to cut down on wiring; just remember that wireless cameras still require a power source. These cameras utilize an antenna to send the video to the display. 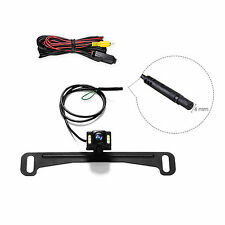 These can be helpful as backup cameras since the distance between the rear of a vehicle and the front of it can be sizable. 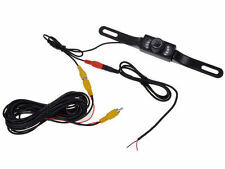 Wired camera kits require some extra wiring but can provide a stable video signal that is less likely to cut out. This could be helpful if the camera is a dash cam.